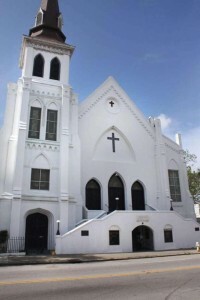 The church where the shooting happened. Nine people are dead. A lone gunman is to blame. The gun he was wielding? It might’ve been one he got from his father for his 21st birthday, no paperwork required. The state where he lives? South Carolina has some of the loosest gun-control laws in the country. We know this story all too well. We know it from Sandy Hook Elementary School in Connecticut, where a lone gunman killed 20 children and six adults. We know it from Aurora, Colo., where a lone gunman killed 12 people in a packed movie theater. We know it from Tucson, where a lone gunman opened fire in a parking lot, killing six and wounding 13, including then-U.S. Rep. Gabrielle Giffords. 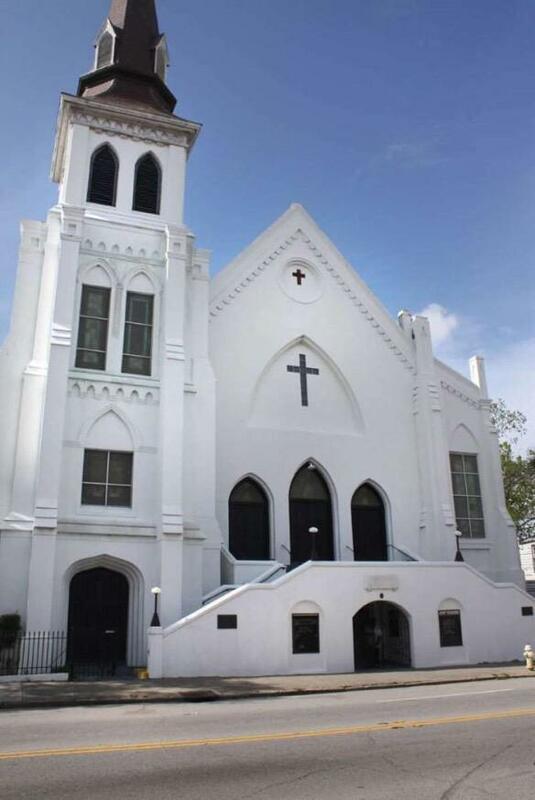 And now there’s Charleston, S.C.
Police say Dylann Storm Roof, 21, walked into the historic Emanuel AME Church on Wednesday evening. He asked for the pastor, Clementa Pinckney, who happened to be a state senator. He sat down among the black congregants for 49 minutes and participated in Bible study. Then he opened fire. One witness said he reloaded five times. The U.S. Justice Department is investigating the shooting as a hate crime. How many more of these shootings must occur before we, as a nation, do something about it? That was what a clearly frustrated President Barack Obama wanted to know on Thursday. “Once again, innocent people were killed in part because someone who wanted to inflict harm had no trouble getting their hands on a gun,” Obama said. Posted: 6/19/15 at 10:34 AM under News Story.